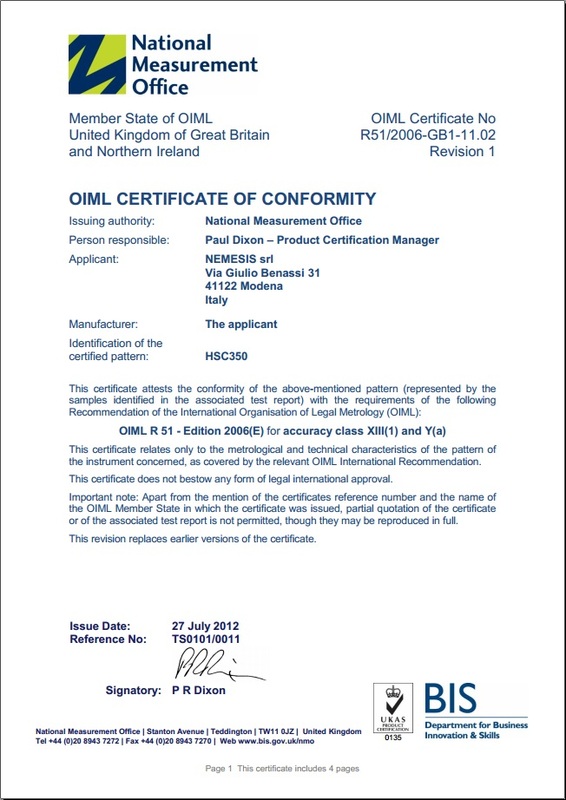 NEMESIS is proud to announce that models with touchscreen, high-speed chains and all plastic modular belts are now in full compliance with the MID and OIML R51, therefore in date 27 July 2012 these certificates were released for HSC350 machines. Moreover, the scale range of the serie HSC350, was increased from 30Kg to 60Kg. 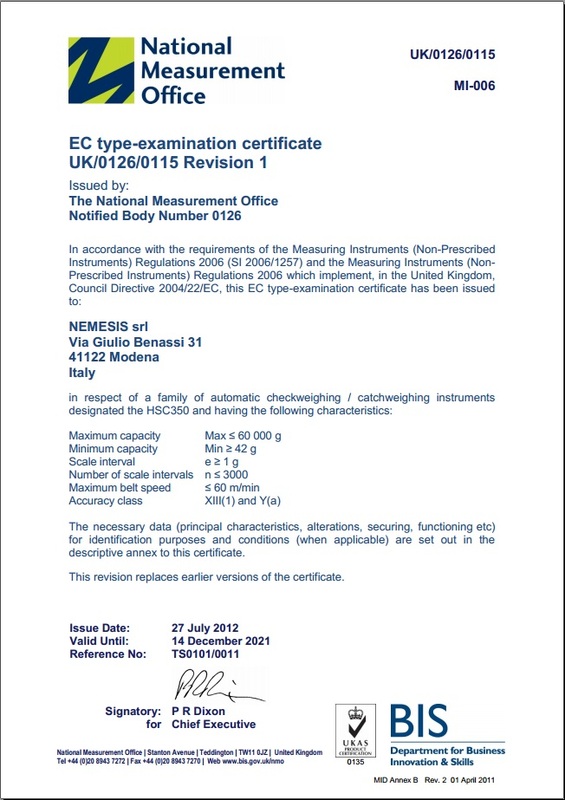 For further information or the full certificate please do not hesitate to contact us.